Seit einiger Zeit gibt es für alle IPhone Nutzer ein kostenfreies App für alle IPhone Geräte. Kompatibel ist das 1,4 MB große Programm mit iPhone, iPod touch, and iPad. Wer ein aktuelles OS auf seinem Gerät hat sollte keine Probleme bekommen, denn es ist ab OS 2.2. lauffähig. Elvis has been sighted on the iPhone! 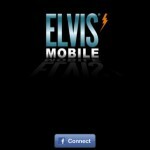 With Elvis Mobile, now you can travel the world with the king of rock ‘n’ roll on your iPhone. If you happen upon an Elvis sighting on your travels, take a photo, record the place, and then share your sightings on Elvis.com! It could be an Elvis poster in Peru, a sculpture in Scranton or even a video in Vermont. 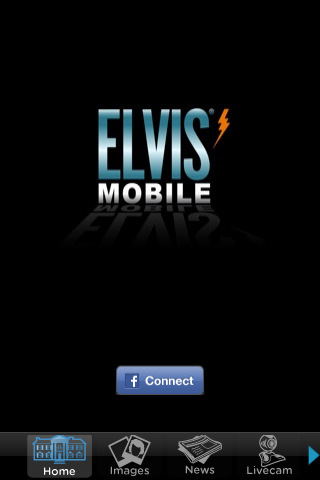 Elvis Mobile is also your one-stop guide to all things Elvis. 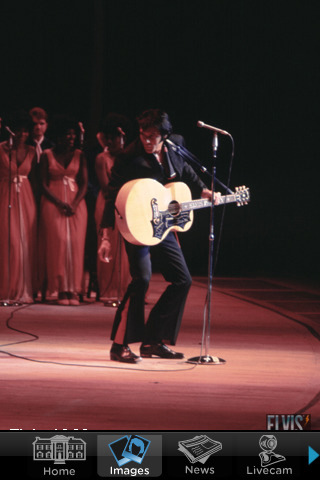 View rare pictures of Elvis and video from Graceland (pictures updated weekly) or keep an eye on the most famous home in the world with the 24/7 photo LiveCam. Be the first to know about everything Elvis and Graceland via an RSS feed or listen to the weekly podcasts from Elvis Radio. Oh, and it’s all free. That should get you all shook up! While the Elvis sightings photo feature is available only to iPhone users, iPod Touch users can still note sightings to Elvis.com.. 3G or Wifi connection is required for any usage that requires internet connectivity. 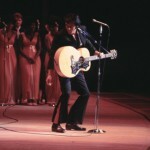 All submissions to Elvis.com are subject to approval by Elvis Presley Enterprises. Inc.
Elvis Presley Enterprises, Inc. and RESOLUTE Games Corp. take no responsibility for any materials published onto individual Facebook pages. Presented by Elvis Presley Enterprises, Inc. Developed and published by RESOLUTE Games Corp. All materials and coding are the sole exclusive properties of Elvis Presley Enterprises, Inc.